The Ultimate Support GS-200 is part of the first series of guitar stands that deliver true innovation and musician-helpful features, the Genesis Series from Ultimate Support all offer a patented leg-locking system for stability, protective padding that won't inherently damage the finish on your guitar, and handy guitar pick storage slots. Whether you're looking for a quality stand for your acoustic, electric, or bass guitar, or even your favorite combo amp, there's a Genesis Series stand from Ultimate Support for you! 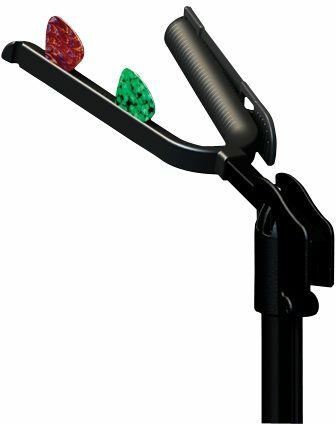 Like the GS-100, the unique hanging-style GS-200 guitar stand securely and safely holds your guitar by the headstock (a safety strap provides extra protection). However the GS-200 also has support arms for more traditional use. 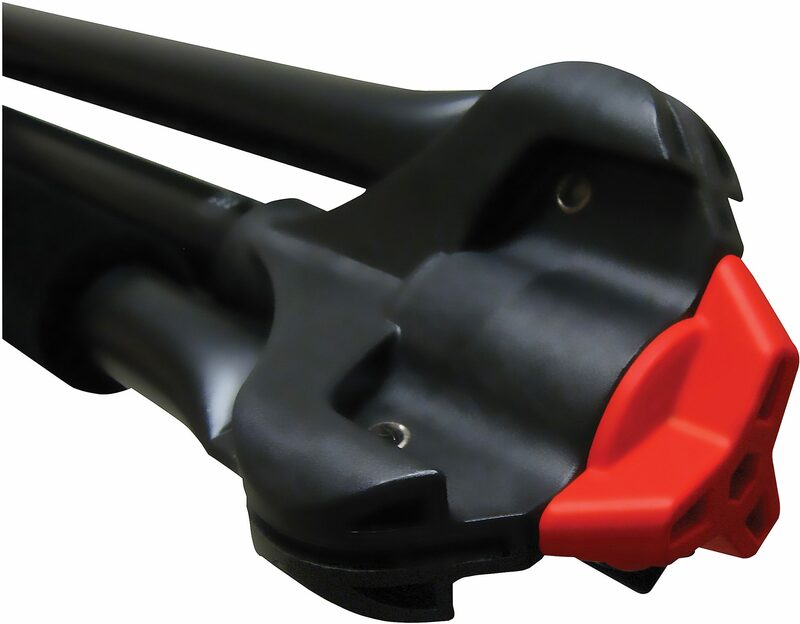 The arms fold down from the lgs to hold your instrument and fold up for streamlined portability. All four GS Series guitar stands are incredibly compact and ready to follow you anywhere your next gig takes you. There are no parts to loose, because each stand is just one piece. The GS-1000, GS-100, and GS-200 all fold up into an extremely compact 3.5"x21" size while the GS-55 is even shorter at just 3.5"x14". Take your stand anywhere and never lose parts again! Did you know that most expensive guitars use a nitrocellulose lacquer finish that requires special care? 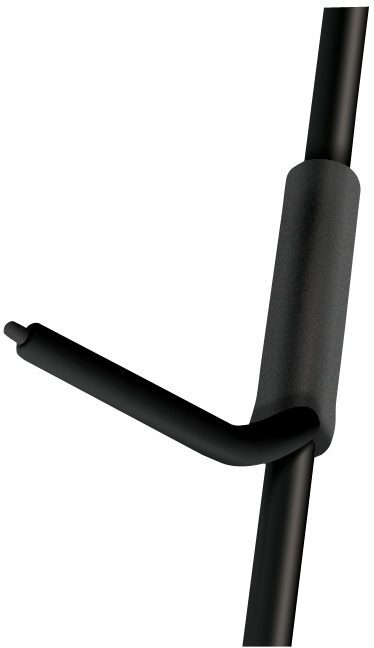 Because of the sensitivity of these finishes, the protective padding is a quality material surface that offers increased protection over standard surgical tubing, rubber, or foam found on other guitar stands (a high quality case is recommended for long-term storage). 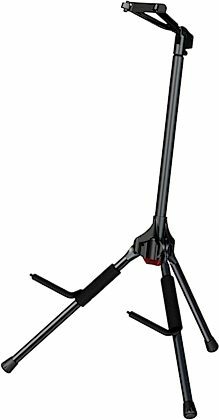 Overall: This Ultimate stand keeps your guitar or bass safe from falling or sliding into onyo the floor causing damage to your ax. 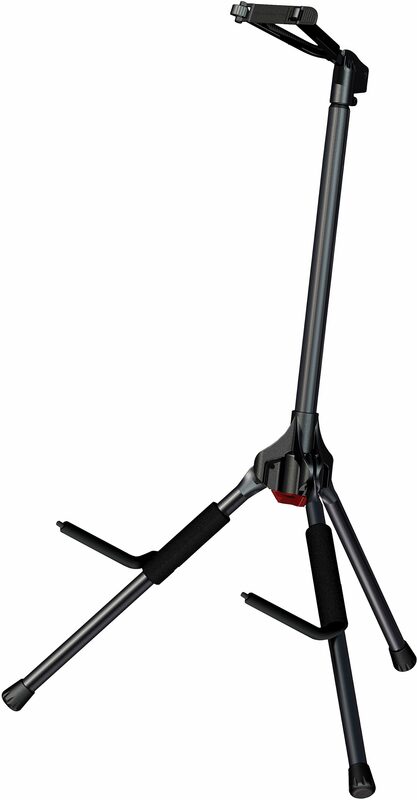 Play it safe and secure your instrument with an Ultimate stand. Compact for easy storage. Overall: Don't trust your guitar to those cheap wobbly guitar stands. This one does it all. It does not rotate around like the cheap one!